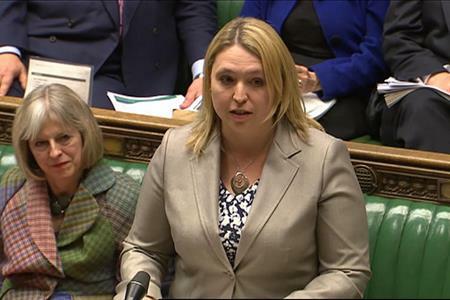 MP Karen Bradley has been appointed as the Secretary of State for Culture, Media and Sport, following the departure of John Whittingdale. Appointed by Theresa May, who became prime minister yesterday (13 July), Bradley joins the department from the Home Office where she held the position of Minister for Preventing Abuse and Exploitation. MP for Staffordshire Moorlands since 2010, Bradley is one of several women to make up a more gender-balanced cabinet. The Department for Culture, Media and Sport oversees the events industry and Bradley becomes the third Secretary of State for this area in a little over a year, following John Whittingdale and, previously, Sajid Javid. Former MP and chair of the government events board, Nick de Bois, described Bradley as an ‘experienced minister’. "I think she’ll be a welcome addition for both the government and the events industry. She was elected in 2010 and has since proved her skills in the home office. I believe she has the right skills and experience to excel in this role." He added that the events board would be working closely with the industry as the government prepared to leave the EU. "I understand the concerns surrounding Brexit, especially the immediate after effects. But now is the time to work together with the government, as we prepare for life outside the EU. It’s really important for the events industry to have its voice heard." He said the board would be working closely with industry members over the coming months, to ensure their concerns were delivered at government level. "We’ve got an important role to play. Not only do we need to protect the industry, but we also need to seize new opportunities and ensure we maintain Britain’s reputation as one of the world’s greatest countries for the delivery of events."